On most days, our brains do a good job at interpreting the myriad sights, sounds, and other sensory information that bombards us from dawn to dusk. However, every now and again, even our highly-evolved minds get a little confused, resulting in what we call illusions. While all five senses are capable of tricking the brain, researchers have thus far largely focused on optical illusions simply because our vision dominates all senses. Now, scientists at the California Institute of Technology (Caltech) have devised two clever tricks that fool the mind using sound. "These illusions are among the very rare cases where sound affects vision, not vice versa, indicating dynamic aspects of neural processing that occur across space and time," explains Shinsuke Shimojo, co-author of the study published in the journal Plos One on October 3, 2018. 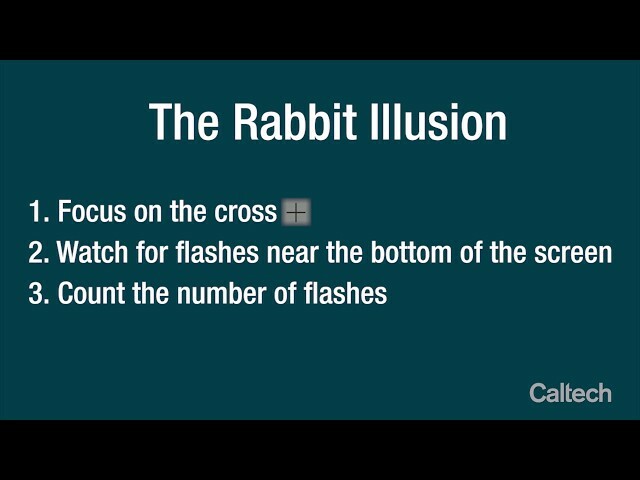 For the first illusion, called “Illusionary Rabbit,” study participants were asked to focus on a cross displayed on a screen. 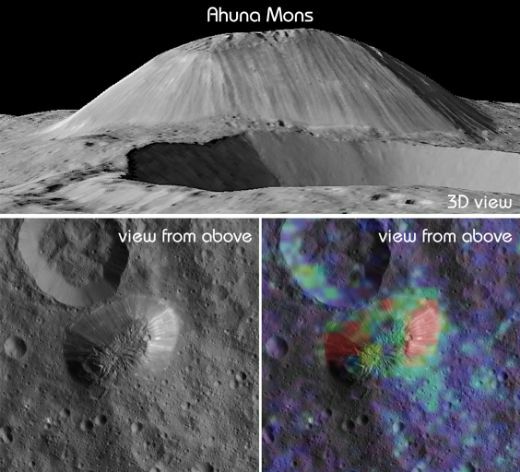 The researchers then sounded three quick beeps, just 58 milliseconds apart. The first and last beeps were accompanied by two flashes – one to the left of the cross and the other to the right. However, the middle, or second, beep was not paired with any light. Yet, most people claimed they had seen three flashes – one during each beep. The researchers say this is because the brain assumes it must have missed the flash associated with the second beep and decides to add it in. It was only when the illusion was repeated without sound that the participants realized there had been only two flashes. For their second trick, called the “Invisible Rabbit,” the Caltech team repeated the exercise except this time, they used three flashes but sounded only two beeps – one each to accompany the first and last streak of light. No beep was sounded during the second flash. 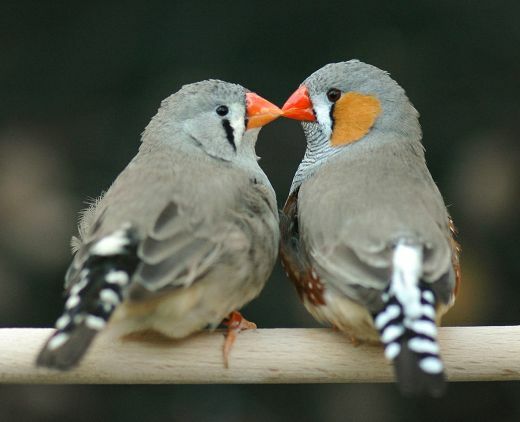 The lack of sound weighed heavily on the brain’s interpretation, resulting in most participants “seeing” only two flashes. 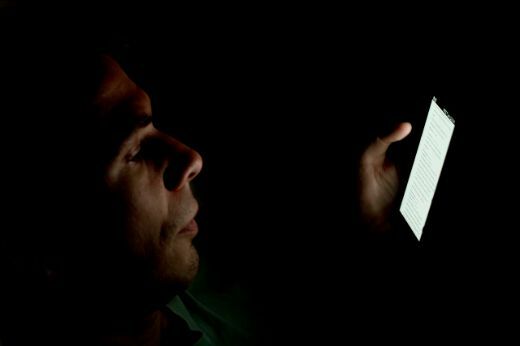 The scientists say the illusions only work when the information is relayed rapidly because the sensory overload allows little time for the brain to interpret the situation accurately. 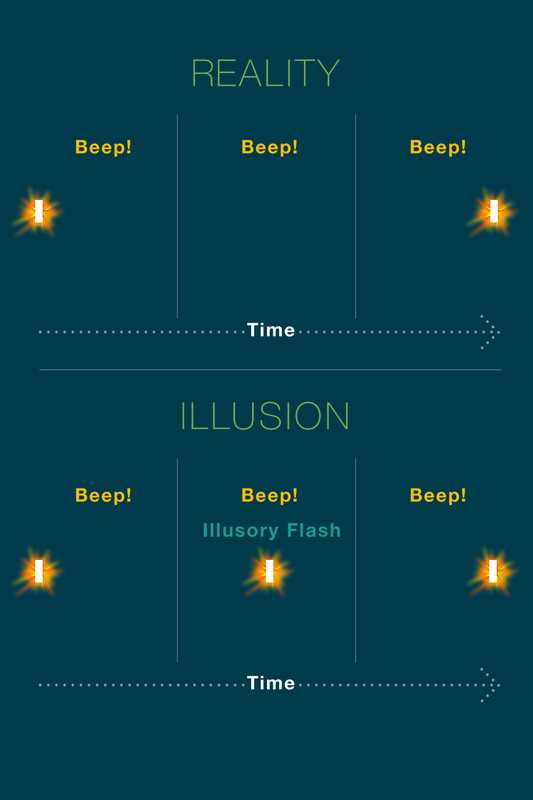 “But more importantly”, says Noelle Stiles, first author on the study, “the only way that you could perceive the shifted illusory flash would be if the information that comes later in time—the final beep-flash combination—is being used to reconstruct the most likely location of the illusory flash as well.” This means that the brain would not have been tricked if the missing beep or flash was at the end of the sequence. The fun tricks, of course, have a more important scientific purpose. “By investigating illusions, we can study the brain’s decision-making process,” explains Stiles. ”For example, how does the brain determine reality with information from multiple senses that is at times noisy and conflicting?” The researchers hope the findings will help develop treatments for afflictions like post-traumatic stress disorder (PTSD) and also help design more efficient sensory aids and training for those with poor vision. 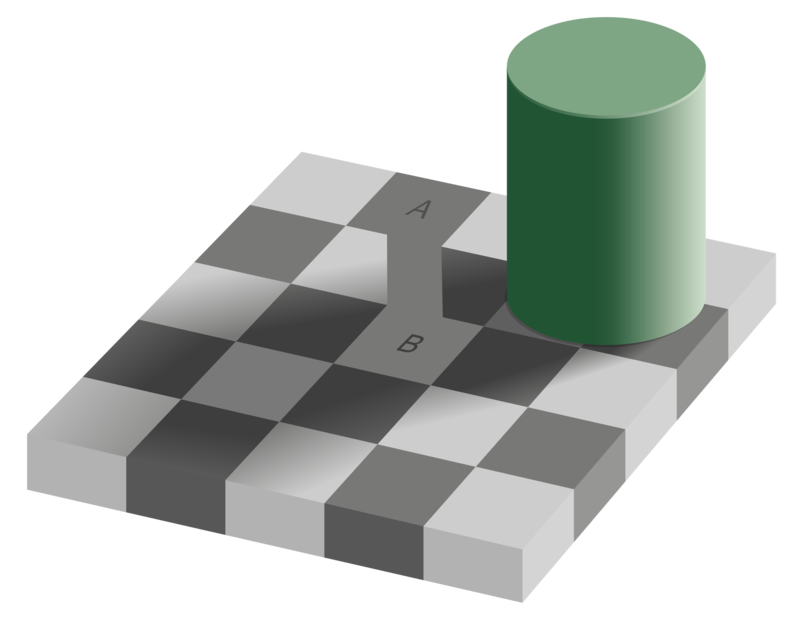 Why have researchers largely focused on optical illusions? I only saw two flashes, the first and the middle every time. 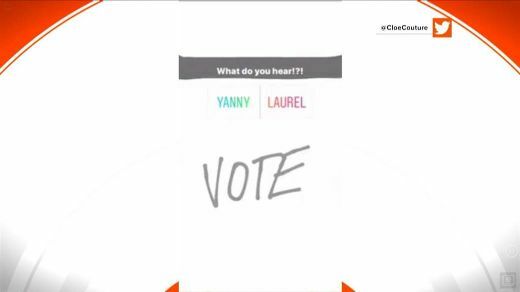 I watch that show Brain Games and this should belong in it. i said two the first time and the secound one but the was no illusion well for me anyway. Sowmya Kolluru. “Caltech Scientists Unveil Two "Time Traveling" Illusions To Trick Your Brain.” DOGOnews, DOGO Media, Inc., 04 Dec, 2018, www.dogonews.com/2018/12/4/caltech-scientists-unveil-two-time-traveling-illusions-to-trick-your-brain. Accessed 24 Apr. 2019. Kolluru, Sowmya. “Caltech Scientists Unveil Two "Time Traveling" Illusions To Trick Your Brain.” DOGOnews, DOGO Media, Inc., 04 Dec, 2018, Web. 24 Apr. 2019. Kolluru, Sowmya. “Caltech Scientists Unveil Two "Time Traveling" Illusions To Trick Your Brain.” DOGOnews. December 4, 2018. 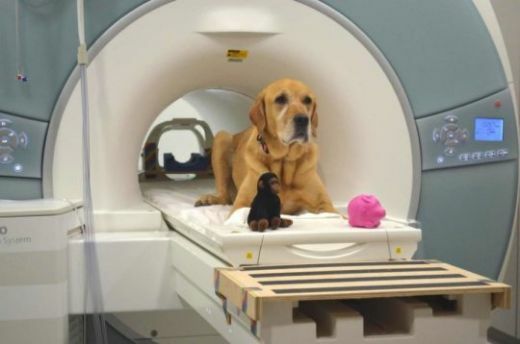 Accessed April 24, 2019. https://www.dogonews.com/2018/12/4/caltech-scientists-unveil-two-time-traveling-illusions-to-trick-your-brain.